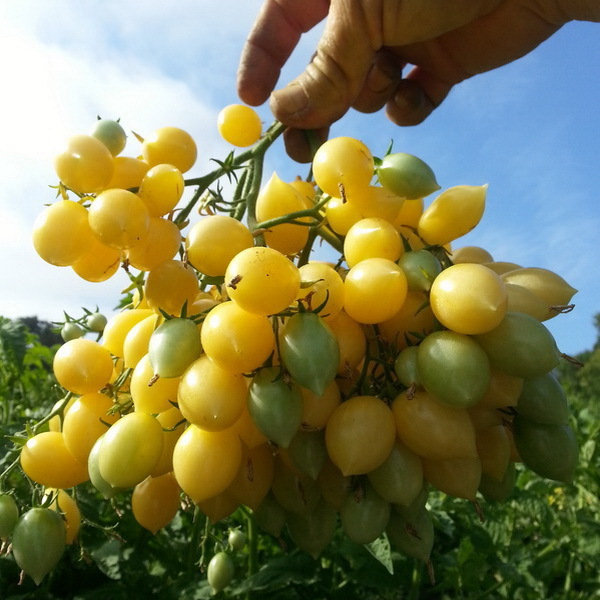 Most “yellow” tomatoes are actually orange. 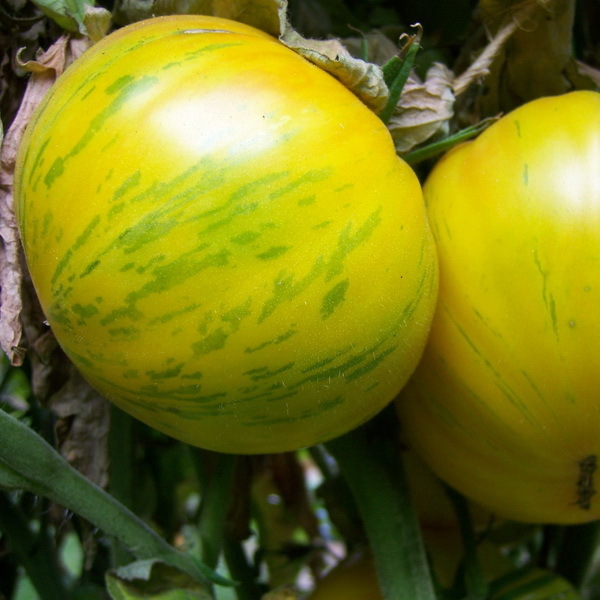 This is a true yellow, starts off yellow with green stripes which ripen to gold. Mid season, 75-85 days. indet. regular leaf. 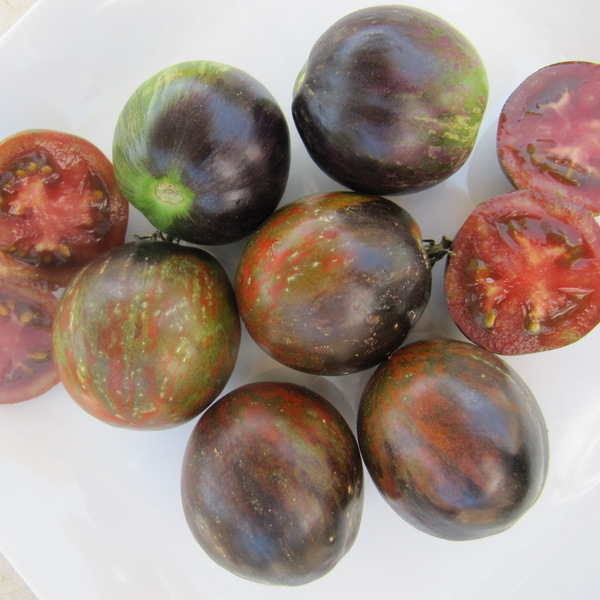 medium size slightly flattened beefsteaks. 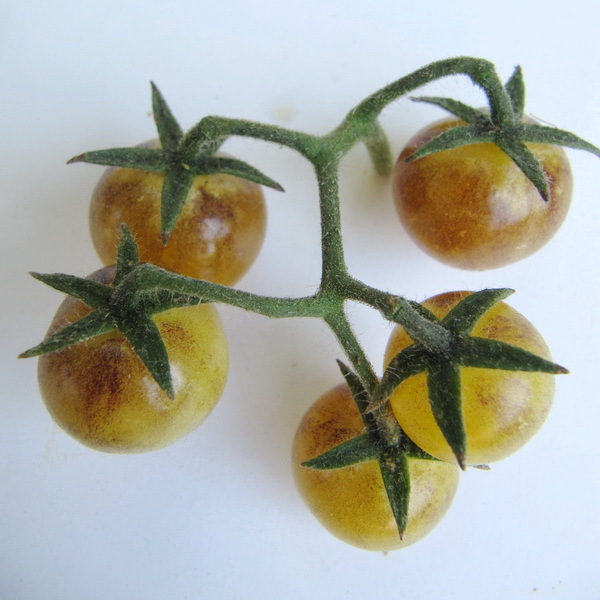 Great sweet tomato flavor with hints of citrus. Best yellow I have ever had.